The Rotary Club of Windsor St. Clair will again present the Community Award for Peace and Understanding in September, to coincide with the United Nations’ International Day of Peace. This award will be presented to an organization that has made an outstanding contribution in the area of world peace and understanding through local and international efforts. “One of Rotary International’s six areas of focus is peace and conflict,” explains Club President Vicki Houston. “The successful recipient will be presented with a Peace Pole and a commemorative scroll. A donation of $500 will be made to support the organization’s peace initiative. 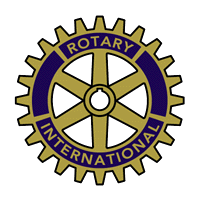 In 2012/2013, when this award was introduced, Rotary’s theme was “Peace Through Service”. Sakugi Tanaka, Rotary International President that year, stated, “Peace, in all of the ways that we can understand it, is a real goal and a realistic goal for Rotary. Peace is not something that can only be achieved through agreements, by governments, or through heroic struggles. It is something that we can find and that we can achieve, every day and in many simple ways.” The Rotary Club of Windsor-St. Clair introduced this award to capture President Tanaka’s sentiments. The award is open to all profit and non-profit organizations or groups including but not limited to businesses, churches, universities, colleges and schools. Organizations can self nominate or may be nominated by a third party, but they must be located in the Windsor-Essex region. Nominations will close on June 30th, 2014. “The organization must have actively worked to increase world peace and understanding, demonstrated outstanding leadership in the area of peace, and have made a difference in our community, our nation or in the international community in the past 24 months,” Houston goes on to say. The nomination form can be found online here.